Arshi Marwaha from Calcutta, B.E. - B.Tech Graduate. PERFORMANCE MANAGEME.. EMPLOYEE GRIEVANCE COACHING & MENTORING..
are one of expert skill area's of Arshi Marwaha . 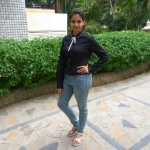 Arshi Marwaha is working in Human Resources industry.